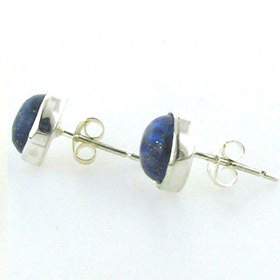 All our lapis lazuli earrings are set in sterling silver and feature natural lapis lazuli gemstones. 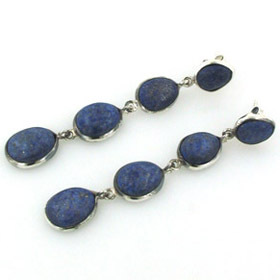 Lapis lazuli can vary in colour spanning the blues from royal blue to navy. 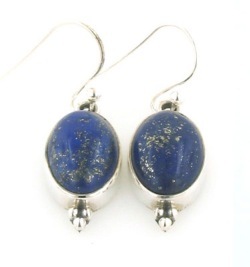 It's often sprinkled with gold pyrite to a greater or lesser extent. 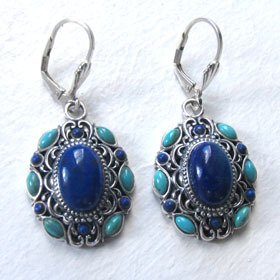 Walk in the Ancient Egyptians' Shoes - Wear Lapis Lazuli Earrings!